Carl Celian Icahn (b. Carl Celian Icahn February 16, 1936) is a business entrepreneur based in New York City. Icahn is the majority shareholder of his diversified holding company, Icahn Enterprises. Icahn grew up in Queens, one of the five boroughs of New York City. During his teenage years, he was a student at Far Rockaway High School. Icahn’s father was a cantor and substitute teacher. His mother also worked as a schoolteacher. Carl Icahn received a Bachelor of Arts degree from Princeton University in 1957, with a major in philosophy. Later that year, he gained admittance to New York University School of Medicine. However, Icahn would drop out after his second year to join the Army. Icahn married his longtime assistant Gail Golden, a former broker. She had two children, both girls, from a previous marriage. Icahn has two children, a son and a daughter, from a previous marriage. 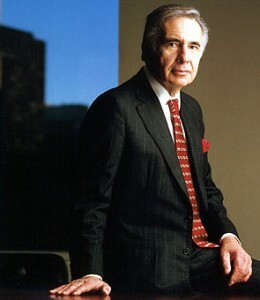 Carl Icahn has earned numerous honors, including the Starlight Foundation’s Man of the Year Award in 1990 – as well as its Founders Award. He received the designation as Guardian Angel 2001 Man of the Year. Icahn devotes much of time to improving charter schools. In 2004, he was given an award by the Educational Innovation – Public Education Association for his efforts. Two years later, the organization 100 Women in Hedge Funds presented him with the Effecting Change Award for his excellent contributions to developing education in schools. Carl Icahn’s foundation, Children’s Rescue Fund, was responsible for building Icahn House. Located in The Bronx, the 65-unit complex served as a refuge for homeless families – particularly single women with children and single pregnant women. It now operates both Icahn House West and Icahn House East, homeless shelters in New York City. Carl Icahn began his career as a stockbroker on Wall Street in 1961. In his seven years on Wall Street, he learned about convertible arbitrage and developed his own large business. He would eventually form his own securities firm, Icahn & Co., in 1968, which focused largely on options trading and risk arbitrage. During more than four decades as a business operator and entrepreneur, Carl Icahn has held substantial positions in numerous global corporations including Western Union, Revlon, Blockbuster, Motorola, RJR Nabsico, Texaco, TWA, Uniroyal, Viacom, Herbalife and Marvel Comics. In 2007, Carl Icahn and his related affiliates owned majority positions in firms including Philip Services, XO Communications, American Railcar Industries and ACF Industries. In June of 2008, Icahn first produced The Icahn Report as an effort to uphold shareholder rights. It hosts United Shareholders of America where individual investors can sign up and take part. After holding interests in a number of Nevada casinos, Carl Icahn sold his portions in February of 2008. The casinos in question included Arizona Charlie’s Decatur, Arizona Charlie’s Boulder, Aquarius Casino Resort and the Stratosphere, all of which are overseen by American Entertainment Properties. American Entertainment Properties is a subsidiary of Icahn Enterprises. Until January of 2010, Icahn also acted as the director of Blockbuster. Later that year, he acquired a significant stake in Mentor Graphics. He currently holds nearly 15 percent of the company. Icahn’s hedge funds now own more than 5 percent of Biogen, Idec., a biotechnology company. Carl Icahn is currently chairman of Icahn Enterprises, American Railcar Industries, Imclone, WestPoint Home and XO Communications. Additionally, he is a part-owner of Vector Group and Adventrx Pharmaceuticals – and possesses significant holdings in Time Warner. In October of 2012, Icahn purchased 5.5 million shares of Netflix, which equaled a 10% stake in the company.